Here are the links to some webpages I like. If you would like your webpage to feature on this page of links, e-mail me your URL and if I like your page, I will add it here. Please give me a link back if I link to your page. Use one of these banners, or else a simple text link will do. Thanks! Watch lots of little animated .gifs dance around! Here's the webpage where I got my pictures from! Thanks! Check out my other webpages! Detailed information about many RPGs on various consoles, with music, reviews, polls, games and more. Sailor Moon images and fan art. A Gundam Wing fan art page. Do something to help the world! Visit these pages and simply click the banner provided and you can help these organizations for free. Sponsers pay for everything and it costs you nothing. I do not own Duo Maxwell or anything related to Gundam Wing. This site is purely for entertainment purposes, I make no money from it, so please don't sue me! 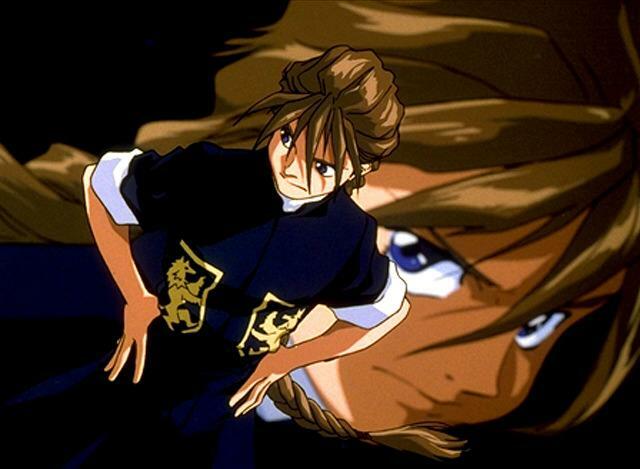 Gundam Wing and Duo Maxwell are copyright of Sotsu Agency, Sunrise, TV Asashi. This webpage was started on Sunday, February 18th... you're looking at quite a drab Version 1.0... give me some time to make logos and wallpaper will ya?! ^.~ This webpage is copyright © Alison 2001. You may take any picture for your website, except Fan Art pictures.